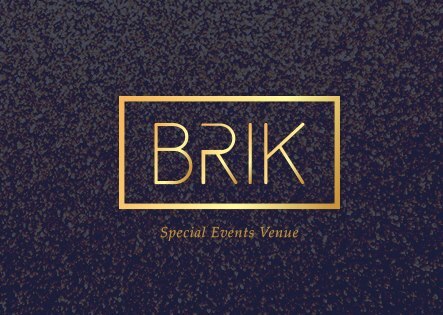 DFW wedding venue BRIK was the perfect blank slate for Victoria and William and a team of incredible DFW wedding vendors to work their magic! Wedding planner extraordinaire Lindsey Zamora helped create the industrial romantic North Texas wedding of this sweet couple’s dreams and the result was dreamy. 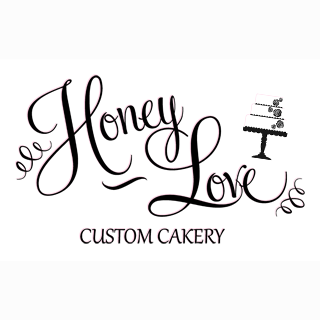 HoneyLove Cakery provided the delicious cake and dessert bar and guests danced the night away to the incredible sounds of The Royal Dukes Band. Thanks to Feather & Twine Photography for capturing every gorgeous detail! 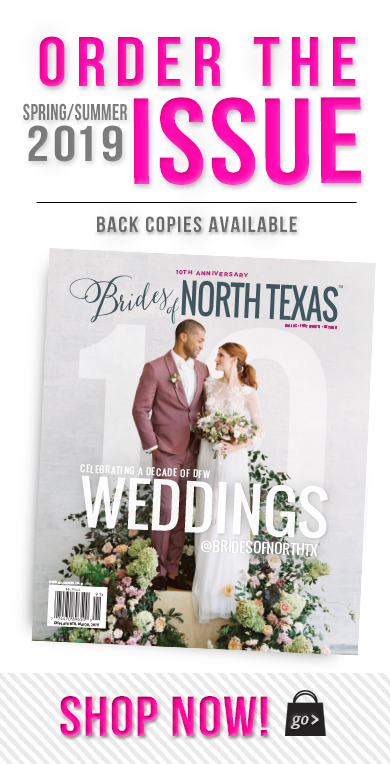 To see more from Victoria and William’s big day, flip to pages 34-39 of the all new Spring/Summer 2018 issue of Brides of North Texas. Cheers! Victoria and Will were just a couple of middle schoolers when they first laid eyes on each other, but Victoria says she doesn’t remember meeting her then-future husband until high school. They started talking to each other sophomore year after attending separate schools their freshman year. As they began to fall in love their junior year, it was like a scene straight out of the movie “High School Musical.” Victoria had encouraged Will to participate in the school’s talent show, but he agreed only if she would stand by his side. As their harmonies joined together during duet practice, it was also the joining of two souls. Shortly after, Will invited Victoria to his birthday party and she was the only girl there. They talked the whole evening and were finally official in February 2009. On top of sharing a love for singing, Victoria and Will enjoyed watching college football together. Victoria spent most of her fall semesters at TCU football games with Will. After dating off and on for the next seven years, Will decided he wanted to make Victoria his singing partner for life. In March 2016, Victoria met Will’s brother Michael at the Fort Worth Botanical Gardens to shoot his senior photos. Victoria tried to call and text Will to remind him about their double date after the shoot with Michael and his girlfriend but Will wasn’t answering his phone. Just as Victoria was ready to start the shoot, Will appeared at the gardens and told her that she wouldn’t be needing her camera. He led Victoria to a secluded spot and serenaded her with his guitar and sang a personalized proposal song called “Victoria.” “I was so surprised,” Victoria gushed. “Will is not good at surprising me just because I can read him really well and I always anticipate what’s happening next so I was really impressed and completely caught off guard. I had no clue.” After saying yes to his proposal, Victoria spent the week of her spring break planning for their big day. The couple wanted to celebrate their engagement for at least a year so they settled on March 11, 2017 for their wedding date, almost one year to the date Will proposed. 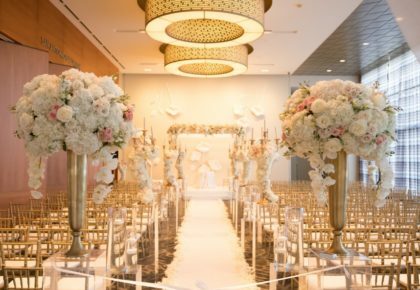 They had put a down payment on a venue but quickly realized that it didn’t feel right for their wedding. So Victoria started searching for venues around DFW and found a Ft. Worth venue that was in the middle of renovations. Victoria and Will fell in love with BRIK, an industrial-chic venue that featured long handcrafted wooden tables and bare brick walls. Since Will and Victoria didn’t have a theme or color palette in mind, they took ideas from BRIK’s owner Lynsie’s idea boards. “We kind of wanted to capitalize on a mood we wanted everybody to have,” Victoria said. “We wanted our wedding to be easy and comfortable with lots of love and people being happy. I think that’s what we focused on and all the little details just fell into place.” The couple wanted everything to be easy-going and cost effective for their bridal party so Victoria sent the bridesmaids and her brides man a Pinterest photo that featured a bridal party in soft pinks, blues and purples. She used the dresses that each bridesmaid hand-picked to match the florals and cake. 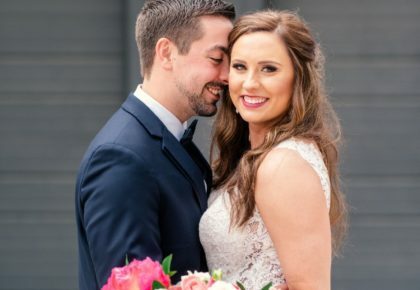 The couple also decided on Lindsey Zamora as their wedding planner, a saint in Will and Victoria’s book, and Feather & Twine as their photographers. 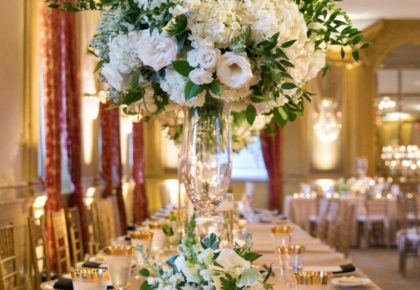 Although the goal was to make the day seem simple and effortless, the couple did have some must-haves on their list. 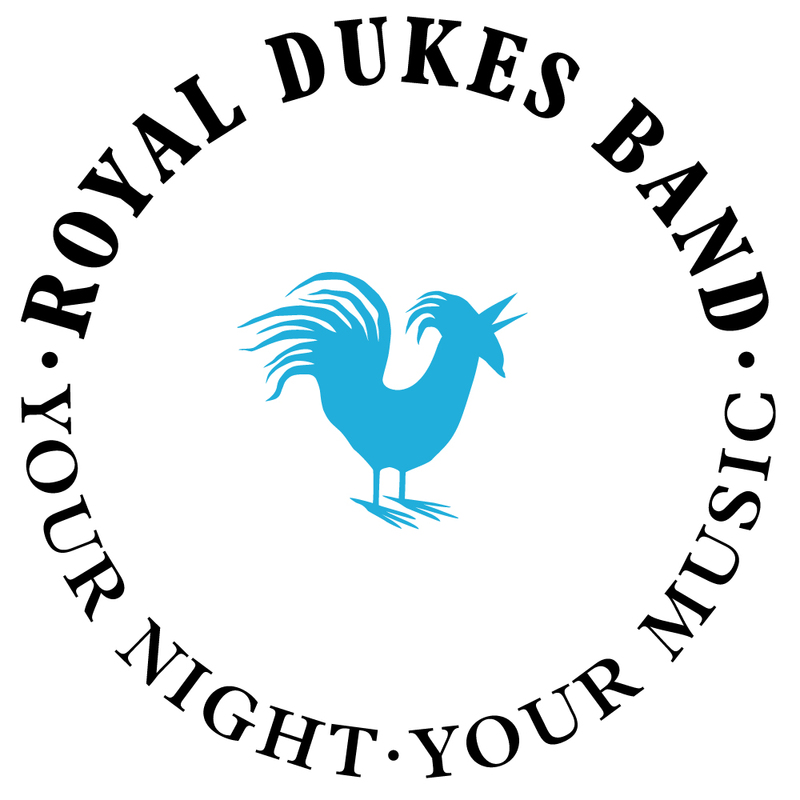 Since Will and Victoria’s relationship centered on music they wanted a live band – The Royal Dukes – for their reception. Will is a music teacher and studied writing music in college so he suggested that they write their own vows and sing it to each other during the ceremony. Victoria was hesitant at first since she gets stage fright easily, but Will gently encouraged her along the way. “We ended up writing it together,” Will said. “The goal was to have it be specific about us but still be a tune that could apply to any wedding and any couple in love. We really focused on the lyrics after I had the tune and I think that probably helped too. We both had some ownership in it and we’re really proud of it.” Victoria also wanted both of her parents to walk her down the aisle and music played a part in that as well. Will grabbed his guitar and serenaded Victoria as she walked towards him to “She Is Loved” by Parachute. He also played while the bridesmaids walked into the ceremony. One of Victoria and Will’s favorite moments of the day was the first look before the ceremony. Victoria chose a beautiful Winnie Couture gown that she described as “fitted at the top and elegant and flowy at the bottom.” She knew it was the one once her mother, who typically doesn’t show a lot of emotion, was silently crying when she first put it on. Will says he was so glad to finally see Victoria and was surprised that she still looked like the woman he fell in love with despite being in a bridal gown. “When I’ve been to weddings before I feel like the wedding dresses are big, showy things sometimes,” Will said. “But when Victoria came out it seemed suited to her and it made sense. She looked beautiful but it was still her. I guess I was surprised because she looked so great but it felt just so natural.” During the first look Will once again surprised Victoria with a personalized song called “Speechless” and it literally took her breath away to the point of tears. When looking back at their big day, Victoria says she was so thankful to have her friends and family by her side. “It’s just a surreal thing to see our family from both sides come together and thinking ‘Oh gosh, they’re coming here for us, to celebrate us,’” she said. “It’s a surreal thing and an incredible moment.” After years of singing songs of love, Victoria and Will are singing a different tune – songs of married life. 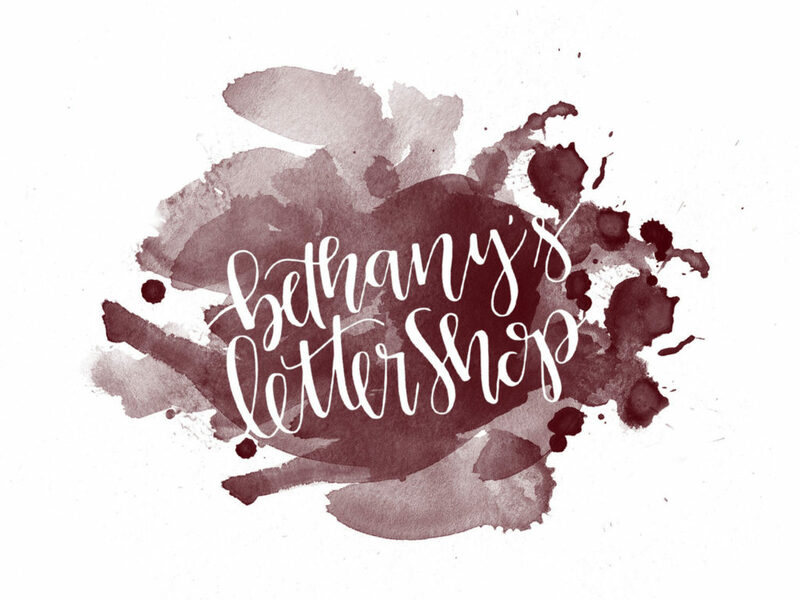 « Previous Post: Announcing our 2018 Looks of Love Contest Winners!